The World Championships is the jewel in the crown of the IAAF’s global competition programme. It is the third-largest sporting event in the world, involving approximately 2000 athletes from more than 200 nations competing for 47 gold medals. The first World Championships in athletics was held in Helsinki in 1983. Today, the competition is staged biennially, usually in the month of August. The IAAF World Indoor Championships is held every two years and provides three action-packed days of intense competition in an intimate arena where fans can see many of the world’s best athletes at close range. The event is generally held in March. The IAAF World U20 Championships brings together the best junior athletes from around the world to compete against each other on the global stage. It gives 18 and 19-year-old competitors a valuable first experience of a world championships. Up to 2200 athletes and officials from 170 national federations can be expected to take part. The six-day event is generally staged in July, every even year. The IAAF World U18 Championships brought together the best youth athletes from around the world to compete against each other on the global stage. It gave 16 and 17-year-old competitors a valuable first experience of a world championships. Typically, up to 1600 athletes and officials from 165 national federations took part. The five-day event was generally staged in July, every odd year. The 2017 edition was the last one. Formerly known as the IAAF World Cup, this event changed format and name in 2010 to become the IAAF Continental Cup. 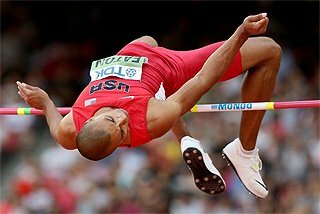 This premier team competition of world athletics sees the greatest talents on earth compete, not for individual medals, but to accumulate points for their continental teams. The Continental Cup is contested by mixed teams representing Africa, the Americas, Asia-Pacific and Europe. The event takes place over two or three days and is held generally in September, every four years. Natural land is the stage on which many of the world’s greatest distance runners learn their craft. The ‘World Cross’ is the oldest competition on the IAAF calendar, connecting the modern professional sport with its roots in the nineteenth century. Medals are awarded for both team and individual performances in senior and junior categories. The event is generally held in March, every odd year. 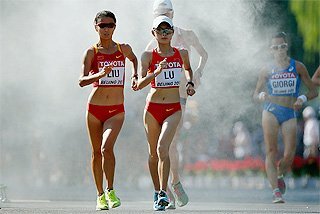 The IAAF Race Walking Team Championships is a two-day festival celebrating one of the sport’s most punishing disciplines. With five races (men's 50km and 20km; women's 20km; and junior men's and women's 10km), the event provides the best race walkers in the world with an opportunity to shine on the world athletics stage. About 500 athletes from 60 countries take part in the biennial event, generally held in May every even year. 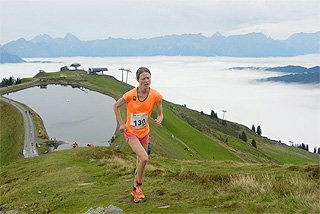 Road running’s international elite compete against the backdrop of the some of the world’s most attractive locations in this annual event. The championships were first held in 1992 as part of the UK’s Great North Run, the largest mass participation road race in the world. The event includes men’s and women’s races with individual and team honours at stake. It is usually held on public roads, often with the addition of a public mass entry race, every even year. 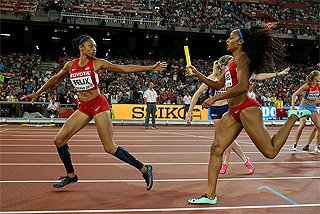 The IAAF World Relays provides an opportunity for the world’s best sprinters and middle-distance runners to showcase the sport’s most exciting team competition: relay events. For national 4x100m and 4x400m teams, this two-day event staged every odd year also counts as a qualifying opportunity for that year’s IAAF World Championships. The IAAF Diamond League is the top tier of the IAAF’s global invitational track and field meeting competition structure which began in 2010. Comprising 14 meetings, spread across Asia, Europe, the Middle East and the USA, each offering US $480,000 in prize money, this annual series showcases 32 event disciplines which are carefully distributed among the meetings. Athletes accumulate points throughout the season to win a 'Diamond Race' in each of the 32 events, with winners of each receiving a US $40,000 cash prize and a spectacular Diamond Trophy. Combining the meeting prize money with the Diamond Race cash, the IAAF Diamond League annually offers a total of US $8million in prize money. 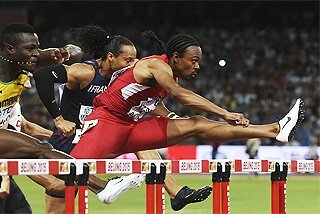 The IAAF World Challenge is the second tier of the IAAF’s global invitational track and field meeting competition structure, which was set up in 2010. 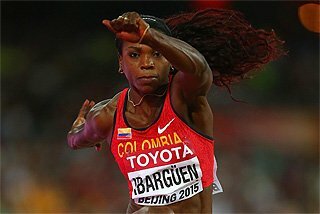 In 2018, the IAAF World Challenge is composed of nine meetings, spread across Asia, Europe, South America and NACAC, each offering $200,000 in prize money. The IAAF World Indoor Tour is an annual circuit of the premier indoor track and field meetings in the world. 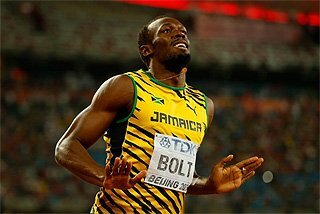 Athletes accumulate points throughout the series and can earn wildcards to the IAAF World Indoor Championships. 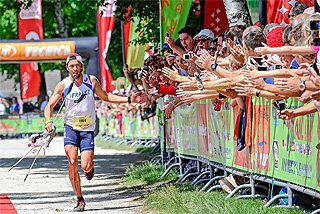 Each year, the IAAF awards a designation referred to as an IAAF Road Race Label to leading road races around the world. The races are divided into three categories: marathons, half marathons and other races. There are three levels of label for each of these categories: IAAF Gold Label, IAAF Silver Label, IAAF Bronze Label. 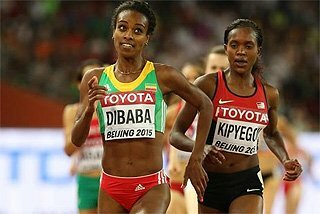 The IAAF Combined Events Challenge is an annual worldwide competition series for decathlon (men) and heptathlon (women) in which athletes accumulate points towards a final ranking and to share more than US$200,000 in prize money. 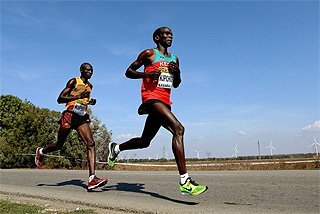 The IAAF Race Walking Challenge is an annual worldwide competition series in which athletes accumulate points towards a final ranking and to share more than US$200,000 in prize money. 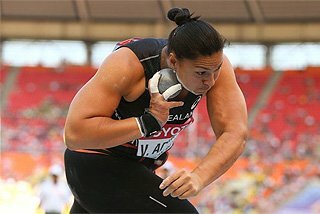 The IAAF Hammer Throw Challenge is an annual worldwide competition series for the hammer throw in which athletes accumulate points towards a final ranking and to share more than US$200,000 in prize money. 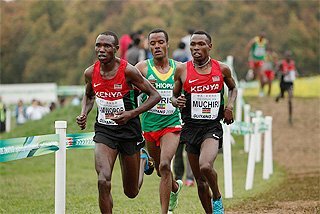 The IAAF Cross Country Permit meetings is an annual circuit of the premier cross-country meetings in the world.